Frank Ocean is one of the most fascinating singers, songwriters and rappers of our times. Check out this biography to know about his birthday, childhood, family life, achievements and fun facts about him. Frank Ocean is one of the most fascinating singers, songwriters and rappers of our times. 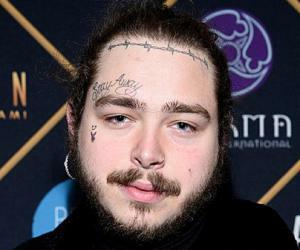 Raised by his music-loving mother, he decided to become a songwriter by the age of thirteen and began to record music by the time he reached high school, paying for studio time by doing odd jobs. In 2005, after his recording facility was destroyed by Hurricane Katrina, he moved to Los Angeles, where he soon made useful contacts, selling his first song to Noel Gourdin at the age of nineteen. Eventually, he was hired by many established record producers and artists to contribute, earning enough by songwriting to lead a comfortable, but anonymous life. However, he felt that he had not left his school and his family just for that. Very soon, he self-released his debut mixtape, ‘Nostalgia, Ultra’ and became famous overnight. His next release, a studio album called ‘channel ORANGE’ was a super hit, selling 131,000 copies in its first week and also earning him three MTV nominations as well as number of awards. His third and fourth release were ‘Endless’, a visual album and ‘Blonde’, his second studio album. As of now, he has completed his fifth project, which is yet to be released. 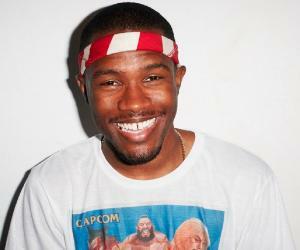 Frank Ocean was born as Christopher Edwin Breaux on October 28, 1987 in Long Beach California. At home, he was called Lonny after his maternal grandfather, Lionel Breaux. Christopher was raised by his mother, Katonya Breaux, who later became a successful business woman. Initially dealing in construction, she later founded Unsun Cosmetics, which specialized in sunscreens. His father, Calvin Edward Cooksey, abandoned the family when Christopher was six years old. Christopher was possibly born younger of his parents’ two children; he has an elder sister named Ashley “Nikkii” Ellison. He also has a half brother named Ryan Breaux, with whom he is very close. When Christopher was five years old, the family moved to New Orleans, Louisiana, where he lived until 2005. Raised in a musical environment, he was exposed to jazz scenes early in life, listening to the works of noted singers like Celine Dion and Anita Baker on his mother’s car stereo. He showed his musical inclinations early in his life. By thirteen, he had decided to become a songwriter and started recording music while he was in his high school, paying for the studio time by doing odd jobs such as washing neighbors’ cars, mowing lawns and walking dogs. In 2005, on graduating from high school, Christopher joined the University of New Orleans with English and moved out home. 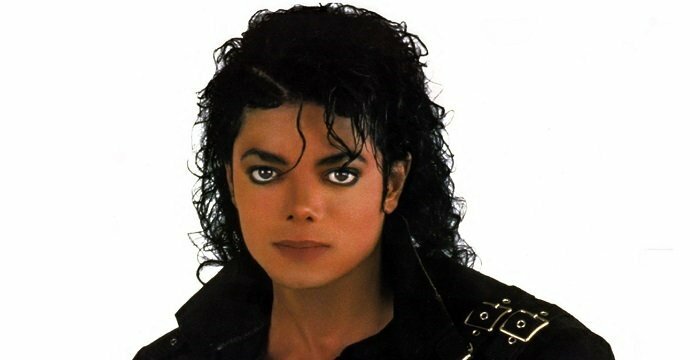 Here too he continued to pursue his musical activities, writing tracks, which were to be recorded in a local studio. But before that could happen, Hurricane Katrina hit the town. Hurricane Katrina, which originated over the Bahamas on August 23, 2005, hit New Orleans on August 29, flooding and destroying a great part of the city, including the facility where Christopher was recording. What little was saved was looted in the ensuing chaos. After his recording facilities were destroyed by Hurricane Katrina, Christopher realized that there is no scope for continuing the recording in New Orleans. He therefore moved to Los Angeles, initially for six weeks. But as he started making meaningful contacts in the music industry, he decided to prolong his stay. During this early period in Los Angeles, he maintained himself by working in various capacities at Subway, Kinko's, AT&T and Allstate Corporation. At the last mentioned company, he was a claim processor. However, he spent too much time at recording studios and was always late for work. Concurrently with earning his daily subsistence, he continued to pursue his musical goal. Very soon, he was able to record some demos at a friend's studio and submit them to local labels, eventually receiving a song-writing deal, which enabled him to write songs for established singers. Possibly in 2007, he sold his first song to Noel Gourdin. In 2008, he co-wrote ‘Quickly’ for John Legend’s third album, ‘Evolver’ and also lent his voice to the backing vocals. In the same year, he wrote ‘1st and ‘Love’ and ‘Locket (Locked in Love)’ for Brandy Norwood’s album ‘Human’. In 2008, he co-wrote ‘Bigger’ with Justin Bieber, Dapo Torimiro, Kevin Risto and Waynne Nugent for Bieber’s 2009 debut album, ‘My World’. .Another important work of this period was ‘I Miss You’. The track was co-written in 2009 for Beyoncé Knowles’ 2011 album ‘4’. In 2009, Christopher made two important contacts. Late in that year, he met producer Tricky Stewart, who helped him to land up a contract with Def Jam Recordings as a solo artist. However, the company did not immediately offer him any recording opportunity. Also in 2009, he met Tyler Gregory Okonma, better known as Tyler, the Creator, one of the founding members of Odd Future Wolf Gang Kill Them All, or just Odd Future. Very soon, a close friendship developed between the two, which provided further boost to Christopher’s creativity. In 2010, Christopher joined Odd Future, writing ‘SteamRoller’ for ‘Rolling Papers’, the debut mixtape by rapper Domo Genesis. In the same year, he officially changed his name to Christopher Francis Ocean as he thought that it would look better on magazine covers. While working with Odd Future, Ocean’s musical talent began to generate interest in the music industry and he began to garner acclaim. Yet, he did not hear anything from Def Jam Recordings, with whom he had signed a contact in 2009. He therefore decided to take matters into his own hands. On February 16, 2011, Ocean self-released his debut mixtape, ‘Nostalgia, Ultra’ without any initial promotion on his Tumblr site to a great critical acclaim. It featured surreal themes and unique R&B aesthetics. In May, Def Jam announced their intension to release the mixtape as an EP, but nothing came out of it. However, the success of the mixtape strengthened Ocean’s relationship with the recording company. .
On May 31, 2011, ‘Novacane’, one of the tracks from ‘Nostalgia, Ultra’ was released officially, charting at the seventeenth position on the US Billboard Hot R&B/Hip-Hop Songs within four weeks. Its music video was released on June 16. On October 18, 2011, ‘Swim Good’ was released as the second single from ‘Nostalgia, Ultra’. Its music video, released via his Tumblr account on September 16, was nominated for three MTV Video Music Awards. MTV also described the mixtape as cult classic. ‘Nostalgia, Ultra’ received enthusiastic reviews from ‘NPR’, ‘Rolling Stone’ and the ‘BBC’. In August 2011, Ocean appeared on the cover of the 75th issue of ‘The FADER. He also started writing songs for established superstars like Jay-Z, Kanye West and Beyoncé. From November 5 to November 15, 2011, Ocean embarked on a six-date concert tour through North America and Europe to promote not only ‘Nostalgia, Ultra’, but also his other projects. 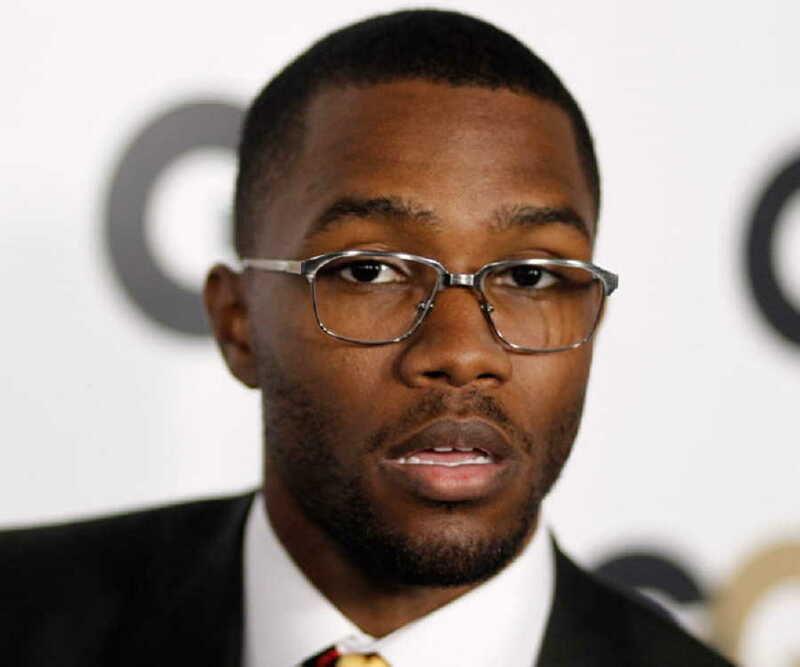 As he became famous, he became Odd Future’s main singer, touring with the group on several occasions. .
From February 2011, as soon as he had released his debut mixtape, Frank Ocean started working with his creative partner, James Ryan Ho, better known as Malay, on his first studio album, ‘channel ORANGE’. 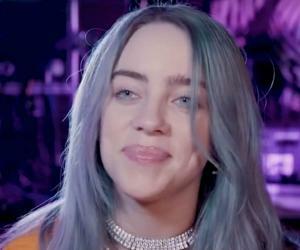 The lyrics were written mostly by Ocean on Malay’s musical ideas. He used both his personal experience and .imaginations to write the lyrics for this new album. In one of these songs, the object of love was a male. When it was played at a pre-release listening event in June 2012, questions were raised about his sexuality. In response to the questions about his sexuality, Ocean published a TextEdit file, originally written in 2011. In it, he had written about his unrequited feeling for a man at the age of nineteen. Ocean’s disclosure received support not only from his publisher Def Jam, but also from other artists. 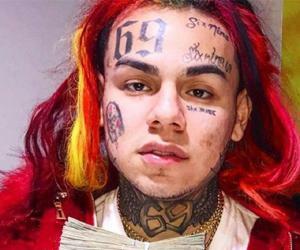 Concurrently with working on his new album, he also worked with Odd Future, contributing three songs to its debut studio album, ‘The OF Tape Vol. 2’. It was released on March 20, 2012, bringing him further acclaim. On July 8, 2012, it was announced that Ocean would go on a 14-date North American tour. The tickets were sold out by July 9. Also on July 9, Ocean made his television debut on ‘Late Night with Jimmy Fallon’, where he performed ‘Bad Religion; a track from ‘channel ORANGE”. In February 2013, Frank Ocean announced that he had started working on his second studio album with Tyler, the Creator, Pharrell Williams, and Danger Mouse. On June 16, while working on this new album, he went on a fourteen-date Canada and Europe tour called ‘You're Not Dead... 2013 Tour’. 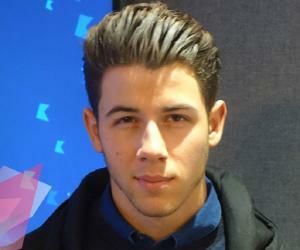 By April 2014, he announced that his second album was nearly finished. Initially called ‘Boys Don’t Cry’ it was to be released in July 2015. However, it took him one more year to actually release it. But before he did that he had ‘Endless’, released on August 19, 2016. 'Endless' was a visual album released exclusively through Apple Music. It was his last work under the label of Def Jam Recordings and received a generally positive review. .
On August 20, 2016, a day after the release of ‘Endless’, Frank Ocean released his second studio album as ‘The Blondie’ under his own label, ‘Boys Don’t Cry’. On the same day, he also made his foray into magazine world with his magazine, ‘Boys Don’t Cry’. ’The Blondie’ debuted at number one in many countries, including the USA and the UK. To promote it, he went on a month long tour to China, Japan and France. On February 24, 2017, he began hosting a show called ‘Blonded Radio’ at ‘Beats 1’ radio, which lasted till August 2017. By November 2017, he completed his fifth project, which is yet to be released. He also issued number of individual tracks throughout the year. Frank Ocean is best known for his 2012 release, ‘channel ORANGE’. By the year end, it was named the year’s best album by number of established publications and won various prizes. It was also included in the book ‘1001 Albums You Must Hear Before You Die’. On his birthday in 2010, inspired by Frank Sinatra and his film, ‘Ocean’s 11’, the singer unofficially changed his name to Frank Ocean. The name change was legalized on April 23, 2015. In 2016, Frank Ocean was very much moved when Omar Mateen shot dead 49 people at a gay night club in Orlando, Florida. On this occasion, he wrote an essay, conveying his anguish at the negative attitude faced by homosexuals, forcing many to commit suicide. In the essay, he also said that he first experienced transphobia, when his father dragged him out of a dinner because the waitress was a transgender. In 2017, his father sued him for defamation, claiming $14.5 million in compensation. On 17 October, 2017, the judge ruled in Ocean’s favor.